Lawsuits challenging state methods of funding public schools have been launched in 45 of the 50 states over the past 40 years, and in recent years they have been extraordinarily successful. 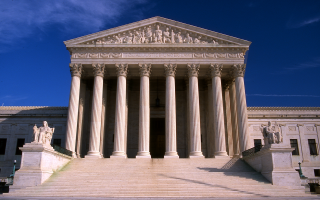 Since 1989 — in an era largely dominated by the conservative political agenda —plaintiffs have prevailed over 60% of the final liability decisions in cases based on “adequacy claims”----- assertions that all students have a constitutional right to a meaningful educational opportunity. And despite (or perhaps, because of) the tightening of state budgets since the 2008 recession, the courts so far have upheld all of the dozen or so compliance claims that plaintiffs have brought to enforce these rights. The state courts’ active involvement in promoting equal educational opportunity in the schools resulted from the U.S. Supreme Court’s refusal in 1973 to consider the extensive inequities in state systems for financing education, at about the same time that the High Court was beginning its retrenchment from actively promoting school desegregation. Blatant inequities in school funding that historically plagued the education systems in almost all states largely resulted from the fact that the financing of public education has long been based primarily on local property taxes. This means that children who live in districts with low wealth and low property values—as most low income and most minority students do—will have substantially less money available to meet their educational needs. Basic academic knowledge and skills, including sufficient knowledge of geography, history, and basic economic and political systems and sufficient intellectual tools to make informed choices with regard to issues that affect them personally or affect their communities, states, and nation; sufficient social and communication skills to work well with others and communicate ideas to a group; and sufficient academic and vocational skills to compete in further formal education or in gainful employment in contemporary society. The essential resources students need to acquire this knowledge and these skills, including qualified teachers, principals, and other personnel; appropriate class sizes; adequate school facilities; supplemental programs and services for students from high poverty backgrounds, appropriate programmes and services for students with disabilities and for English-language learners; textbooks, computers and software, libraries, laboratories, and a safe, orderly learning environment. The preparation of students to function productively as capable citizens of a democratic society and as competitive workers in the global economy. What has this spate of litigation actually achieved? A major study by the National Bureau of Economic Research (NBER) published in January, 2015 considered the impact of state Supreme Court decisions in 28 states between 1971 and 2010. It concluded that school finance reforms stemming from court orders have tended both to increase state spending in lower-income districts and to decrease expenditure gaps between low- and high-income districts. The researchers found that a 20 percent increase in annual per-pupil spending for K-12 low income students leads to almost one more year of completed education. In adulthood, these students experienced 25 percent higher earnings, and a 20 percentage-point decrease in adult poverty. The authors posit that these results could reduce at least two-thirds of the achievement gap of adults who were raised in low- and high-income families. Outcomes have not been fully successful in all states. In some places there has been fierce opposition to the court decrees. Forty years of fiscal equity and education adequacy litigation have proved two things: Money matters ---- but only when used effectively. And judicial involvement is critical for assuring equity in education funding ---- but court orders also generally must also be accompanied by informed public awareness and forceful political action. 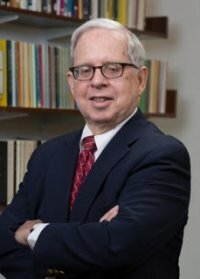 Michael A. Rebell is the executive director of the Campaign for Educational Equity and Professor of Law and Educational Practice at Teachers College, Columbia University. He is also an adjunct Professor of Law at Columbia Law School. Previously, Mr. Rebell was the executive director of the Campaign for Fiscal Equity, and co-counsel for the plaintiffs in CFE v. State of New York, a challenge to the system of funding public education in the State of New York which has established the right of all students in the state to the “opportunity for a sound basic education.” Mr. Rebell has also litigated numerous major class action lawsuits, including Jose P. v. Mills, which involved a plaintiff class of 160,000 students with disabilities. He also served as a court-appointed special master in the Boston special education case, Allen v. Parks. He was a member of the National Commission on Equity and Excellence in Education and a member of Governor Andrew Cuomo’s New New York Education Reform Commission. to supreme court even further behind. Studies show that school environment matters to student success. Withholding recess reduces student performance for the remains of the day. Many teachers and lunch monitors chip away at recess for academic and punitive reasons however causing a very paradoxal affect for all involved. 2ndly, having recess before lunch studies have shown nutrient intake increases and student focus for the remaining day increases directly impacting performance. Findings also include more instruction time within classroom post lunch ..problems from the playground are resolved or diffused by having lunch right after. To not deny recess and in replace utilize positive strategies for misbehaved students and to sequentally hold recess before lunch cost little to no extra money. Both strategies enhance student performance for the remains of the school day. USDA, CDC recommendations and evidence based practice isnt good enough, resistance to change and re scheduling instructions blocks I found were the barriers in my district. Logistics on handwashing and best entry way for wet boots are not barriers and easily worked out. Recess is an education in itself for emotional, social, physical and academic development...and should be treated as such. By denying these 2 environments students have not cognitively reset from a recess and are nutrient deprived impairing functionality and overall success in the remains of the day. Primary education are rapid growth and development years that can be stunted and negatively impacted by American Schools...ADHD and Childhood obesity have been correlated with the 2002 No Child Left Behind Act ...primarily due to withholding or elimination recess in favor a getting more 'academics'in... presently 8 out of 12 elementary schools in our district practice RBL...leaving the other 4, schools or 2000 students at a disadvantage. All students should have a right to an equal and fair education by not denying them recess and holding recess before lunch. I believe this is a legal issue....or perhaps school subsidies be significantly reduced by not optimizing the students learning environment. It would be hopeful that no funding get cut, but only way to get their attention? One school calculation by not having RBL based on waste studies threw away $2,200 worth of subsized food...for our 4 resistant schools projection of waste thrown out based on average subsidized meals served is $53,000 subsidy waste or school year Conclusion, to add to the monetary discrepancies of funding schools...there is more to the achievement gap and will take any advice to get the above best practices into law.